"They Did The Job Very Well In A Timely Fashion And Where Brilliant Thank You." "Arrived On Time, Nice Manner, Explained Job, And Tidied Up Afterwards"
"Was Pleasant, Polite And Ensured Job Was Done Properly. 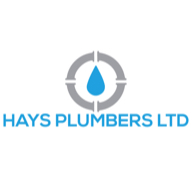 Cleaned Up Behind Himself Too"
"Arrived On Time, Completed Job Efficiently And Very Friendly"
Need a Plumber in Hartlepool?